I know I shouldn’t say this but I’m a little disappointed, the field has narrowed, and we are now down to seven candidates, the major parties are there, obviously, with the Conservatives Jane Ellison challenging Labour’s Martin Linton for the seat. They are joined by the Liberal Democrat, Greens and UKIP along with two independents: Tom Fox, who opposes corruption and Hugh Salmon who seems to share a lot of Conservative policy (although I confess I’ve not spent a lot of time studying his policies). We’ve lost two candidates though. The Jury Team candidate, it seems, didn’t manage to get a nomination together and, sadly, the Monster Raving Loony Party didn’t stick to his promise to stand. Why am I disappointed? Because I occasionally enjoy politics and some of these candidates can bring some colour to the race. Sadly, they won’t be bringing it to Battersea. Perhaps the most disappointing aspect is the nomination of a BNP candidate in Putney. Given that they had managed to nominate a candidate in West Hill, they could clearly get the signatures for a parliamentary nomination (both only require ten people) and the only question remaining was whether they could afford the deposit. It seems they could. I’m still slightly puzzled by their choice of constituency, as I mentioned with their West Hill nomination, they predominantly take votes from Labour so Putney is a surprising choice given that that the Labour vote there isn’t that high. 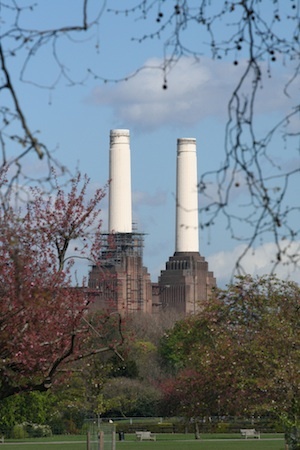 There isn’t even the argument that there is a media focus on the seat – since most will be looking towards Battersea and Tooting where there are likely to be changes. Whatever their logic, I hope they get a record low in the polls.